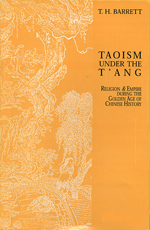 This work by a noted scholar of East Asian history and religions sheds light on Taoism, China’s great indigenous religion, during the T’ang dynasty (618–907), a vibrant and glorious period of Chinese history. 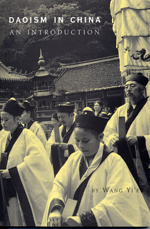 Describes the history of the religion; introduces Daoist masters, lineages, and sects; and explains key deities, temples, and sacred places, as well as Daoism's core texts and scriptures. Zen master Takuan Soho (1573–1645) taught that with the mind rooted in "immovable" wisdom, one's response to the unexpected is always instantaneous and correct. His precepts and practice of calligraphy, painting, poetry, martial arts, and the tea ceremony inspired, among others, Miyamoto Musashi, Japan's most famous swordsman. 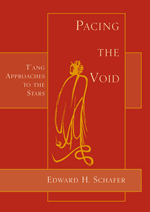 Attempts to recreate for the 20th-century reader the sky and the apparitions that ornament it as they were conceived, imagined, and reacted to by the men of T'ang-dynasty China. 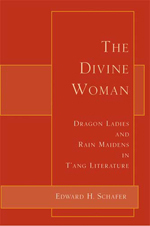 An important exploration of Chinese mythology focused on the diverse and evocative associations between women and water in the literature of the T'ang dynasty by the eminent Sinologist.